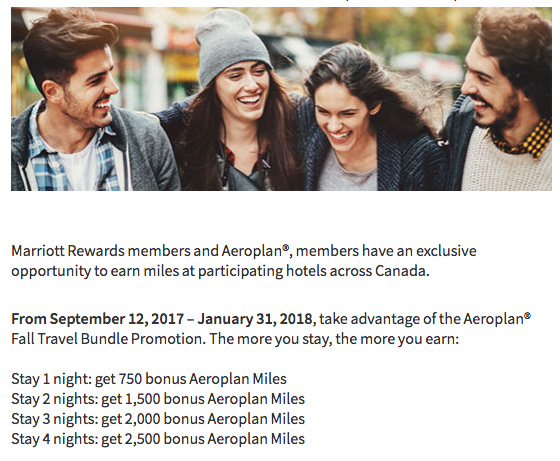 The latest Aeroplan bonus mile offer for Marriott stays in Canada continues with the up to 2,500 bonus miles theme. Differing from the previous 2+ nights weekend only offer the newest version is easier to take advantage of as you only have to stay one night to get a bonus and it can be any night of the week. Of course the more nights you complete per stay the bigger the bonus.